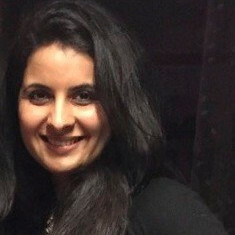 Uber India has strengthened its PR team in India with Karuna Gulyani, former associate director and head, corporate communications, Discovery Networks. Uber is in the news currently due to reports that it may sell its food business Uber Eats to Swiggy. Gulyani joined Uber in the first week of February as head of corporate communications for India and South Asia. She will report to Satinder Bindra, director of communication for Uber India and South Asia. Gulyani has spent over 15 years in PR with stints at Text 100, Corporate Voice Weber Shandwick and Turner. She has a degree in sociology from the prestigious Lady Shri Ram College. The last few years have been a bit of revolving door for PR teams at Uber India, with almost a yearly exit of a PR head since 2016. But with Bindra now occupying a director level PR post at Uber, it could bring in greater stability to the PR teams there.